I watched this video with the typical ennui of your average internet user—expecting to hear nothing at all, really, before going back to other forms of online procrastination—but holy Hannah. This is a pretty loud building. Although I would be making surreptitious ambient field recordings—and rhapsodizing to my sleepless friends about the unrealized acoustic dimensions of contemporary architecture—I have to say I’d be pretty unenthused to have this thing howling all day, everyday, in my neighborhood. (Spotted via Justin Davidson. This actually reminds me of when my housemate in college taught himself to play the saw and I had no idea what was happening). [Image: Photo by Steve Stills, courtesy of the Guardian]. The space itself has “the acoustics of a small cathedral,” Sinclair told the newspaper, citing John Cage as an influence and urging readers “to listen to environmental sounds and treat them as music,” whether it’s the rumble of a bridge being raised or the sounds of boats on the river. It is rumored that the final, dying words of composer John Cage were: “Make sure they play my London piece… You have to hear my London piece…” He was referring, many now believe, to a piece written for the subterranean saxophony of London’s sewers. Read much more at the Guardian—or, even better, stop by tonight for a live performance. You might have seen the news last month that two students from George Mason University developed a way to put out fires using sound. There are about a million interesting things here, but I was totally captivated by two points, in particular. In other words, motivated by a large enough defense budget—or simply by unadulterated misanthropy—you could thus suffocate whole cities with an oxygen-thinning swarm of robot sound systems in the sky. Those “Ride of the Valkyries”-blaring speakers mounted on Robert Duvall’s helicopter in Apocalypse Now might be playing something far more sinister over the battlefields of tomorrow. However, the other, more ethically acceptable point of interest here is the possible landscape effect such an invention might have—that is, the possibility that this could be scaled-up to fight forest fires. There are a lot of problems with this, of course, including the fact that, even if you deplete a fire of oxygen, if the temperature remains high, it will simply flicker back to life and keep burning. [Image: The Grateful Dead “wall of sound,” via audioheritage.org]. Nonetheless, there is something awesomely compelling in the idea that a wildfire burning in the woods somewhere in the mountains of Arizona might be put out by a wall of speakers playing ultra-low bass lines, rolling specially designed patterns of sound across the landscape, so quiet you almost can’t hear it. A hum rumbles across the roots and branches of burning trees; there is a moment of violent trembling, as if an unseen burst of wind has blown through; and then the flames go out, leaving nothing but tendrils of smoke and this strange acoustic presence buzzing further into the fires up ahead. Instead of emergency amphibious aircraft dropping lake water on remote conflagrations, we’d have mobile concerts of abstract sound—the world’s largest ambient raves—broadcast through National Parks and on the edges of desert cities. Desperate, Los Angeles County hires a Department of Ambient Music to save the city from a wave of drought-augmented superfires; equipped with keyboards and effects pedals, wearing trucker hats and plaid, these heroes of the drone wander forth to face the inferno, extinguishing flames with lush carpets of anoxic sound. (Spotted via New York Magazine). The ANS functioned through an “array of tiny chisels” that engraved “lines and points on rotating black enamelled glass discs.” These engravings would then “regulate the brightness of light rays” that passed “through the discs onto photoelements,” like the sun streaming through carefully shaded windows. The “level of intensity” of this light then produced specific sounds. It’s a machine that reads windows. [Image: A representative musical score for the ANS – but what if you fed it architectural diagrams?]. The Wire then explains that, in 2002, British band Coil visited the synthesizer in Moscow and recorded nearly 4 hours of music using the machine. Listening to what they produced, we’re told, sounds “like travelling through the Oort Cloud or the Kuiper Belt – glitting slivers of distant white light and vast, nebulous spaces populated by inchoate radioactive matter.” As you’ll notice in these three, 3-minute samples, the effect is certainly weird – but also unbelievably mesmerizing: 1, 2, and 3 (all MP3s). Light, chisels, glass plates, oscillators, enamelled surfaces, engravings on windows – with these elements it is not at all hard to imagine a kind of ANS architecture, rebuilt on the scale of a building. Windowed lobbies and escalators; sunlight; entire lift shafts full of glass discs, inscribed and black-enamelled, emitting music like light. Whole rooms of sound, angelic, the windows slightly trembling. Moving panes of glass, washed clean at the end of the day, pass slowly behind curtains, casting acoustic shadows. A symphony for glass escalators. Chamber music. Entire cities, made from nothing but windows, tuning to one another like the sound of orchestral sunlight. (Note: The ANS was apparently used to soundtrack Andrei Tarkovsky’s films Solaris and Stalker). The idea of listening to a landscape – how to podcast a landscape, for instance – tends to be literally overlooked in favor of a site’s visual impact or even its smell. When I was in Greece a few years ago, for instance, hiking toward an abandoned village on Tilos, every step I took crushed wild onions, herbs, and different flowers, and a temporary envelope of scent, picked up by breezes, floated all around me as I walked uphill. I may not remember every single detail of what that path *looked* like – but I do remember how it *smelled*. It was like hiking through salad. In any case, you don’t often see people packing up the family car, or hopping onto a train, to tour Wales or the Green Mountains of Vermont so that they can listen to the hills – they’ll go out to look at autumn leaf colors, sure, or take photographs of spring wildflowers. But to go all the way to Wales so they can hear a particular autumn wind storm howling through the gorges, a storm that only lasts two days of every year? Specifically going somewhere to *listen to the landscape*. Seasonal weather events and their sonic after-effects. The Great November Moan. 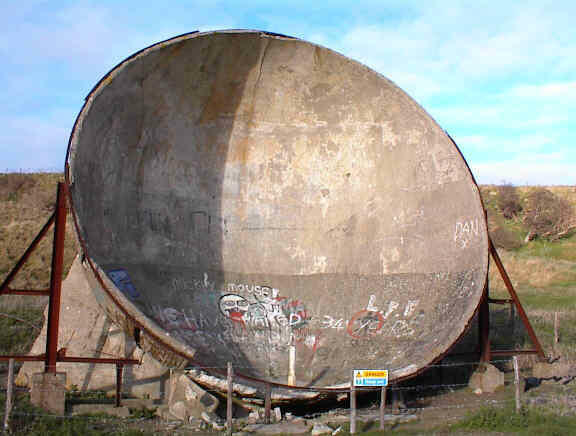 All of which brings me to the idea of sound mirrors. Musicalizing a weather system through landscape architecture. 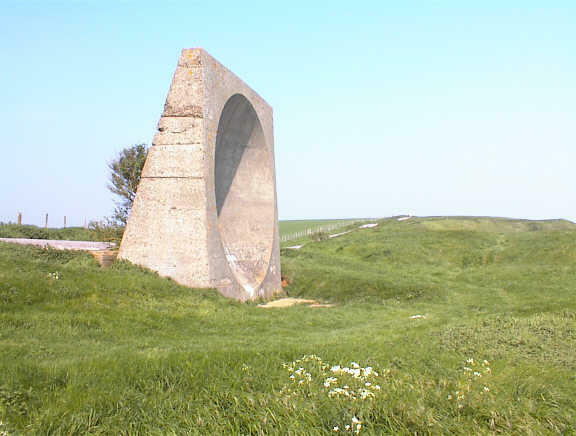 BLDGBLOG here proposes a series of sound mirrors to be built in a landscape with regular, annual wind phenomena. A distant gully, moaning at 2am every second week in October due to northern winds from Canada, has its low, droning, cliff-created reverb carefully echoed back up a chain of sound mirrors to supply natural soundscapes for the sleeping residents of nearby towns. Or a crevasse that actually makes no sound at all has a sound mirror built nearby, which then amplifies and redirects the ambient air movements, coaxing out a tone – but only for the first week of March. Annually. 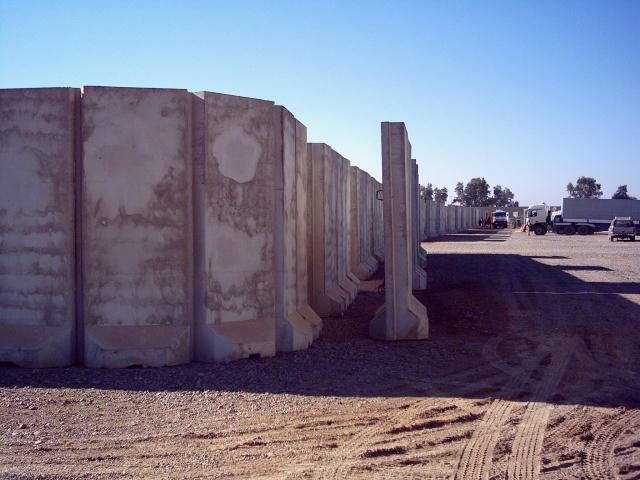 It’s a question of interacting with the earth’s atmosphere through human geotechnical constructions. Through sound mirrors. What you’d need: 1) Detailed meteorological charts of a region’s annual wind-flow patterns. 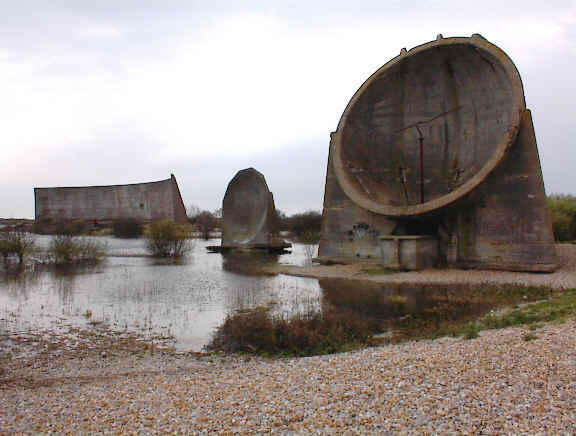 2) Sound mirrors. 3) A very large arts grant. You could then musicalize the climate. With exactly placed and arranged sound mirrors atop a mesa, for instance, deep inside a system of canyons – whether that’s in the Peak District or Utah’s Canyonlands National Park – or even in Rajasthan, or western Afghanistan – you could interact with the earth’s atmosphere to create music for two weeks every year, amplifying the natural sounds of seasonal air patterns. 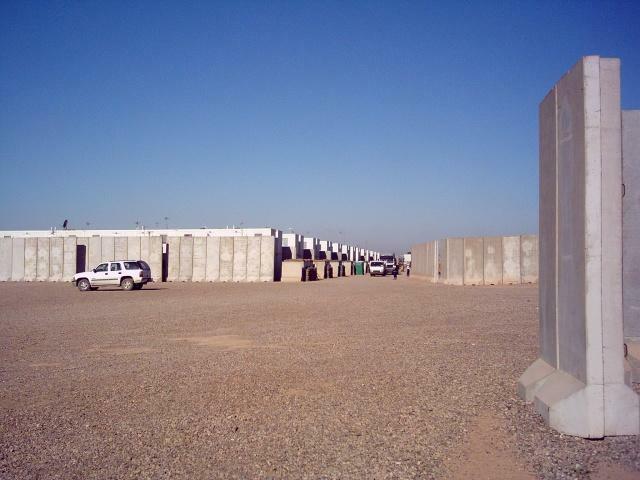 People would come, camp out, check into hotels, open all their windows – and just listen to the landscaped echoes. A few questions arise: in this context, does Stonehenge make any sounds? What if – and this is just a question – it was built not as a prehistoric astronomical device but as a *landscape wind instrument*? You’d be out there wandering around the Cotswolds, thinking oh – christ, it’s 5000 years ago and we’re lost, but: what’s that? I hear Stonehenge… And then you locate yourself. This raises the possibility of building smaller versions of these sound mirrors in urban neighborhoods so that, for instance, Berlin’s Prenzlauer Berg sounds different than Mitte, which sounds different than Kreuzberg – which sounds different than South Kensington, which is different than Gramercy Park… Etc. You’d always know which district of the city you were in – even which city you were in, full stop – based on what the wind sounded like. (Which reminds me of another idea: that, to attract people to a city without much going for it, you could *flavor the water supply*: make it taste like Doritos, for instance, and then sell that on huge billboards: buy your new home in Detroit, the water tastes like Doritos… the water tastes like tofurky…). – generate sounds during passing wind storms? All the American military bases of Iraq moaning at 3am as desert breezes pass by. What does the occupation *sound like*?